Panama Hüte erkennt man an der feinen handgeflochtene Strohqualität und ihrer zeitlosen Eleganz. Borsalino, Stetson und Oliver Sander bieten eine große Auswahl Panama Hüte im Design Trilby und Fedora an. The Panama was created in 1835 using the vegetable fibers of the Toquilla palm, through a process that can last up to six months. The ‘straw hat’ from Ecuador had its grand entrance at the world exhibition in Paris in 1855. Since that time, it became famous all over the world. The origin of the Panama hat, as we know lies in Ecuador, because the straw can only be found (called ‘Carloduvica palmata’ or Paja Toquilla’) with these fibers the unique hat is weaved. Original methods produced by master craftsmen beginning with the creation of the Tallos. After that various processes from bleaching and the first phases of weaving begin. Each different weaving stage from the Rematador, Azacador prepares the hat for trimming and second bleaching. The hats are then blocked, stiffened and finished - the final phase, which includes trimming, sewing the lining, hatband and the grosgrain, application of any other accessories. Dexterity, attention to detail and many years of experience are necessary to weave this exclusive ‘straw hat’ from Toquilla straw. 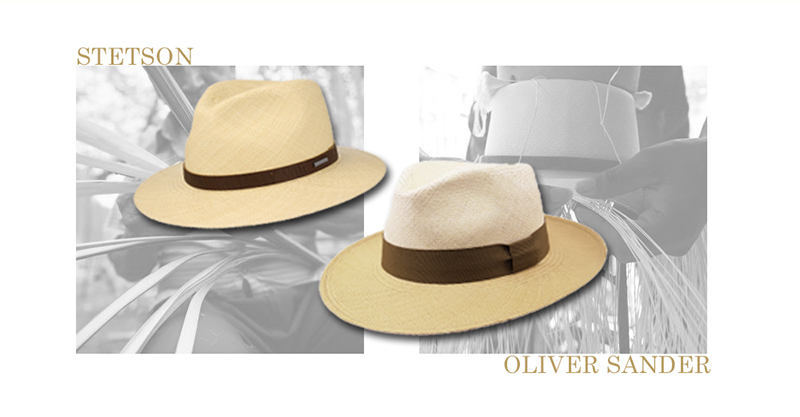 The smooth and close-meshed fabric determines the quality of the original Panama hat and therefore it’s value too. 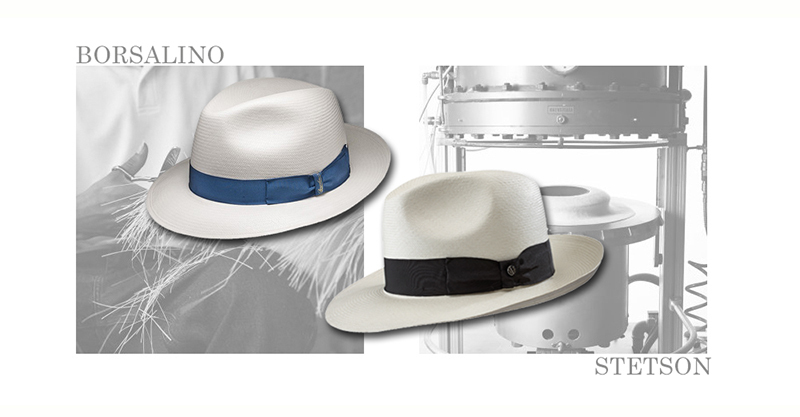 It is a story with a heritage hat makers including Borsalino have turned into a timeless legend over the years, becoming synonymous with style and elegance. The Panama is encountering a renaissance nowadays. The classic design and superior quality helped the Panama hat to establish itself as a trade name and a sunny day (or evening) would be unthinkable without it. For the past few summer seasons we have seen an increase in ladies wearing classic Panama’s. We love to encourage this trend by ensuring that we have a variety of looks, colourways and sizes to suit both men’s and now women’s personal style. 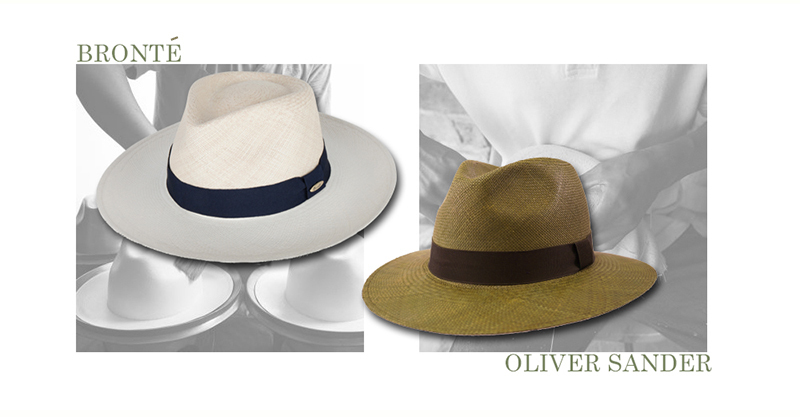 This spring summer we will be offering Panamas from Borsalino, Oliver Sander, Stetson and Bronté.